75 Car Pile Up Outside Of Montreal And A Hockey Game Breaks Out…Only In Canada. 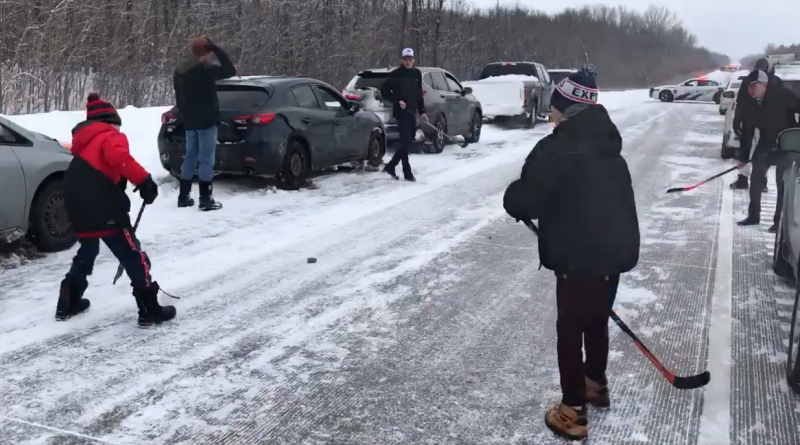 People stuck in a 75-car pileup just east of Montreal got creative to pass time. Video of them engaging in an impromptu hockey game in the road has gone viral.